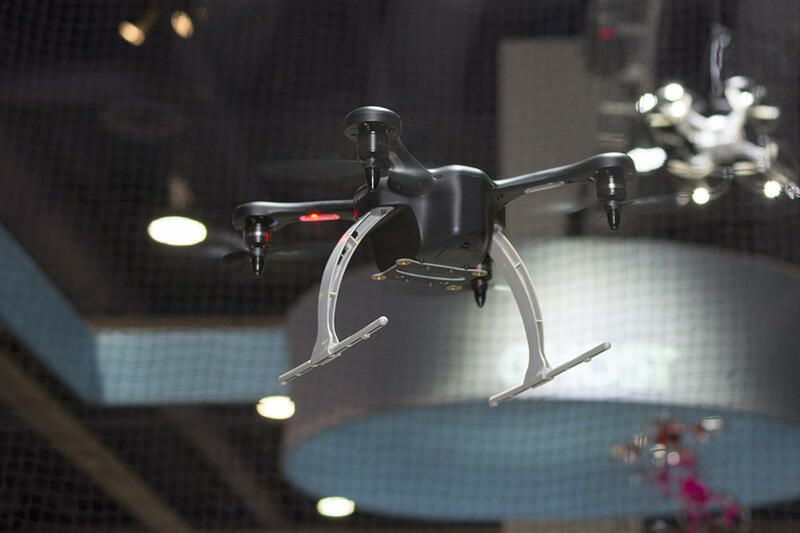 EHang, a leading unmanned aerial vehicle (UAV) manufacturer, today released two new versions of its popular GHOSTDRONE 2.0 drone: the GHOSTDRONE 2.0 Aerial bundle and the GHOSTDRONE 2.0 VR. 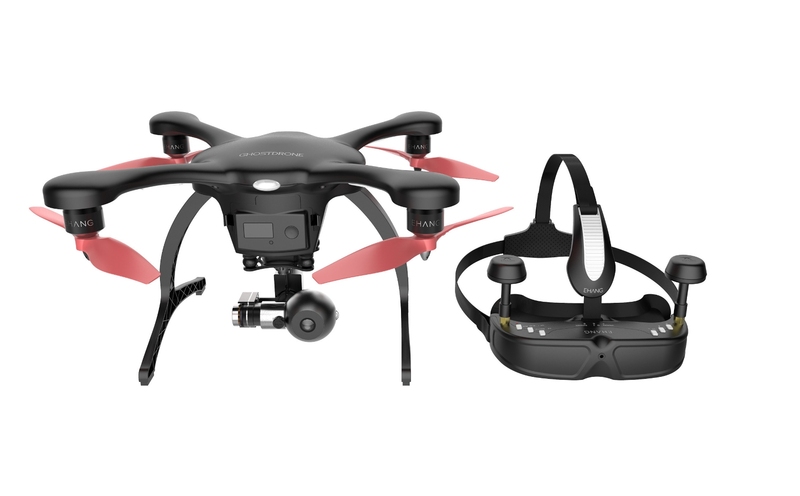 The GHOSTDRONE 2.0 Aerial, known for its ease of flight and sleek design, now comes with a free, top-of-the-line 4K camera, allowing pilots of all skill levels to film professional-quality footage with the tap of a button in EHang’s mobile app. And for an elite flying experience, the brand-new GHOSTDRONE 2.0 VR features an integrated 4K spherical camera and innovative virtual reality goggles, which consumers can use to see from their drone’s perspective or change the camera angle, simply by tilting their head up or down. Combined with EHang’s signature Tilt Control, which allows users to steer their drone simply by tilting their phone, the new GHOSTDRONE 2.0 is the closest users will get to experiencing flight firsthand. The new GHOSTDRONE 2.0 models continue EHang’s long-standing mission to bring safe, easy, enjoyable flight to the masses. 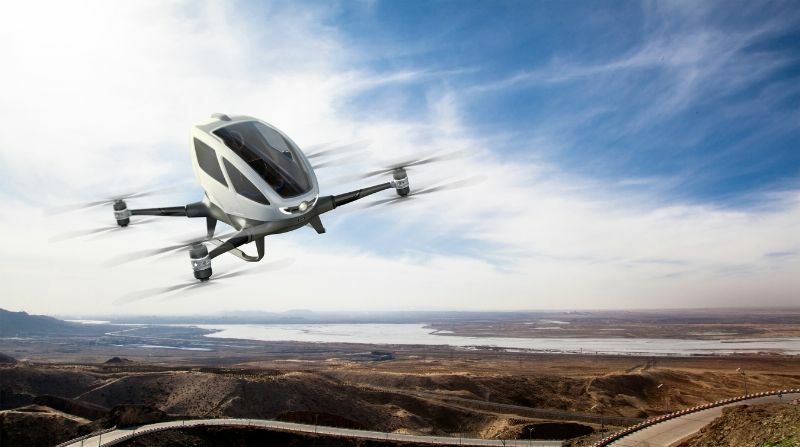 From the first GHOSTDRONE to the world-renowned EHang 184 Autonomous Aerial Vehicle, EHang uses best-in-class engineering to design aerial vehicles that can be flown by everyday consumers, eschewing manual RC controllers for the more accessible mobile experience. VR Goggles – EHang’s proprietary VR goggles create an immersive flight experience like never before, allowing users to “see” out of the eyes of their drone with zero-latency. And with the goggles’ innovative head-tracking feature, users intuitively control the camera angle of their drone simply via head movement. Tilt Control – The GHOSTDRONE 2.0’s proprietary Tilt Control makes the complex process of navigating a drone intuitive and comfortable. Instead of using joysticks or a complicated RC controller, the GHOSTDRONE 2.0 uses a smartphone’s internal accelerometer and gyroscope to control the drone’s flight – simply tilt the phone in any direction, and the drone follows the pilot’s lead. Drone pilots only need to download the EHang Play mobile app, compatible with both Apple and Android devices. Seamless, Professional-Grade Filming – New, gimbal-stabilized 4K cameras allow every pilot to easily shoot professional-quality aerial photography and filming without any blurriness or shaking. Recording is as easy as a tap of a button in EHang’s mobile app, and the picture has never been clearer! Upgraded App – Connecting, flying, and recording with the GHOSTDRONE 2.0 is easier than ever, thanks to key firmware updates in the EHang Play App, which offers a brand new user-friendly interface, improved G-Box connectivity, and smoother flight in Avatar Mode. Full-year replacement policy – The GHOSTDRONE 2.0 was designed with safety and durability in mind, but accidents happen. And they shouldn’t be a barrier to new drone pilots learning the ropes. With the purchase of the G 2.0 Aerial and VR models, EHang consumers get a 12-month warranty guarantee and 24-hour customer service to make sure they get back in the air as quickly as possible. Both the Aerial and VR models are available for purchase at Fry’s and Amazon, or online via the EHang website for $599 and $1099 respectively. The VR goggles can also be purchased separately as an accessory for $349.